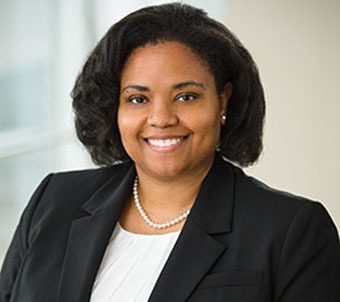 Ayana M. Rivers is a senior counsel in McKool Smith's New York office. Her practice focuses on complex commercial litigation, including class actions, securities, antitrust, and intellectual property disputes. Her recent representations involve commercial disputes arising out of the global financial crisis. Ayana also devotes time to pro bono matters. While attending law school, she was the lead articles editor for the Syracuse Journal of International Law and Commerce. Federal Housing Finance Agency, as conservator for Fannie Mae and Freddie Mac, in several actions in federal court against numerous financial institutions arising out of defendants’ misrepresentations concerning residential mortgage-backed securities. Trustees of residential mortgage-backed securities trusts in numerous breach of contract "put-back" actions against major financial institutions. An international financial institution in analyzing and bringing claims against major investment banks and other financial institutions concerning billions of dollars of collateralized debt obligations and other structured finance products. Comcast Corporation in three antitrust class actions brought by a putative class of two million subscribers in each case.